Don't miss the Eastern & Midlands spring social event! 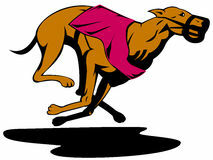 Everyone is welcome to the Chartered ICES Eastern & Midlands regional trip to the greyhound races. All others are welcome too but will have to pay their own admission, which is £7. Gates open at 6pm, an ICES Committee Member will be at the entrance to welcome you. First race is at 6.30pm so don’t be late! Places are limited, so book early! Perfectly located in the heart of the country, with excellent access to all major transport networks, Nottingham Greyhound Stadium is quite simply the home of greyhound racing in the East Midlands. The Stadium is situated just two miles from the city centre. Car parking at the stadium is free. To claim your FREE place as a member, please email hmcginty@cices.org with your name and membership number.